This recipe was inspired by a lunch we had with our cousin Ann last month and I’ve been excited about trying it ever since. I altered things somewhat (is that really a surprise to anyone who knows me??) but it turned out extremely well. Mix the turkey salad together and allow the flavors to meld for a bit – you can certainly make it and put it right into the braid, but the flavors intensify if you can let it sit in the fridge a little bit. On a large sheet pan covered in foil (or sprayed with cooking spray… I just don’t like the mess otherwise), lay out both packages of crescent dough side-to-side so you have a long rectangle of dough. Smoosh any openings in the dough so everything is flat and uniform. Spread the turkey mixture evenly down the center of the rectangle of dough. Make slits along each side, doing your best to keep them at even intervals from each other on each side. NOTE: Here’s the “fancy” part. Turn the pan so that the rectangle has a “top” and a “bottom. Starting from one end, and working down to the other, you’re now going to make a “braid” to keep the salad inside. Lift the left and right top strips, bring them to together, twist once, and lay them back down. Continue with all remaining strips until it looks like a braided package in front of you. Pinch the edges closed and tuck under each end. Bake braid in a preheated 375 degree oven for 30 minutes and then serve with or without a salad. This meal should serve 4-5 people (or 3 very hungry people who forgot to eat lunch). You could also add toasted almonds if you want more crunch but we find that the celery gives it just the right bite. 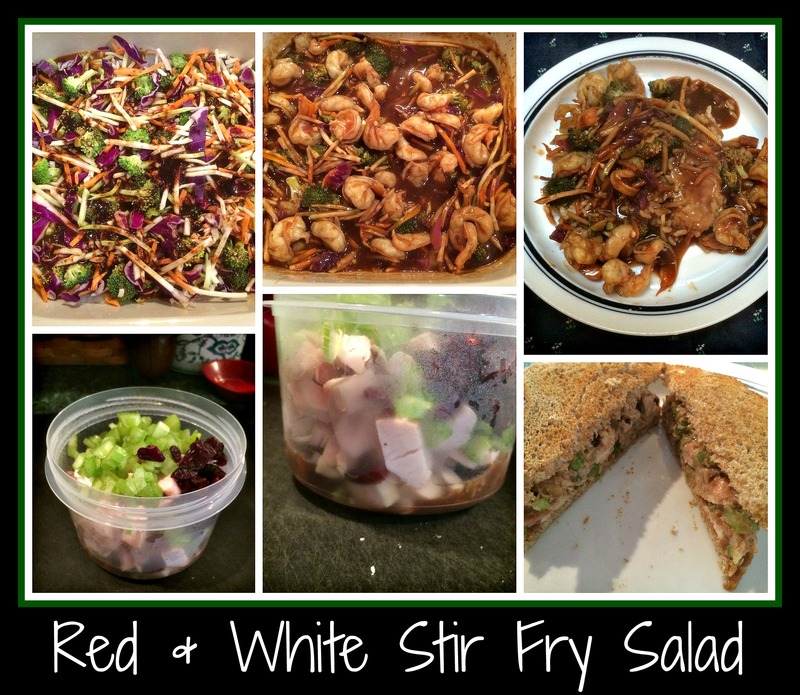 I’ve used this method for a few different meals (especially the Wine Taco Braid post on this blog) so feel free to incorporate any changes or flavors you want. After all, who knows your family’s tastes better than you! Have fun! I was trying to make my lunch early this morning when I stumbled onto something pretty tasty. I’m generally not a fan of packing my lunch, but it really is the simpler option when I’m working at the winery. Bringing in something to heat in the microwave might seem easier, but since my meal might be interrupted at any moment, I really do like to have something that won’t spoil. 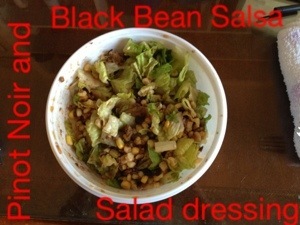 A salad or sandwich is fairly quick to throw together before I leave but this time it became inspired. I decided to put together a salad for today’s lunch. I cut up a head of romaine lettuce, sprinkled some freshly frozen corn kernels around and then spooned in a small amount of taco meat from last night’s dinner. I had pulled out the last of a jar of Spicy Black Bean Salsa that I had left in the fridge, but I didn’t feel inspired to create a multi-ingredient dressing. Instead, I pulled out a bottle of Acrobat Pinot Noir that I had left in the fridge… and that’s when inspiration hit me. What would happen if I added wine to the salsa? It was nothing short of wonderful. 1/4 jar of the salsa, combined with about the same amount of the red wine and a packet of equal, became a fabulous concoction that was thick, without being too thick… Spicy, but not too spicy… In the language of The Three Bears, I had unwittingly created a dressing that was “just right”. I would love to say that it was the most amazing thing I’d ever made, but that would certainly be overstating things a bit. It made a unique and “oh, wow” sort of flavor that blended with my salad ingredients beautifully. The lunch that I had grudgingly packed that morning turned into a meal that made me happy….and any meal that can do that for a person is one worth sharing. Feel free to share my blog with you friends… Maybe my sense of whimsy in using wine for cooking will inspire others to make something new from the mundane. It certainly has livened up many of the meals in our household. Wishing you all a renewed sense of the unique and the strange…. it can be quite tasty! Warning…. this is a recipe done entirely using The Force. Sauté two pounds of ground turkey and a diced onion until browned. Add red wine (I used what I had of a California “Spaghetti Red” on hand but I would have used James River’s Rad Red if I’d had it open) and enough taco seasoning to cover. 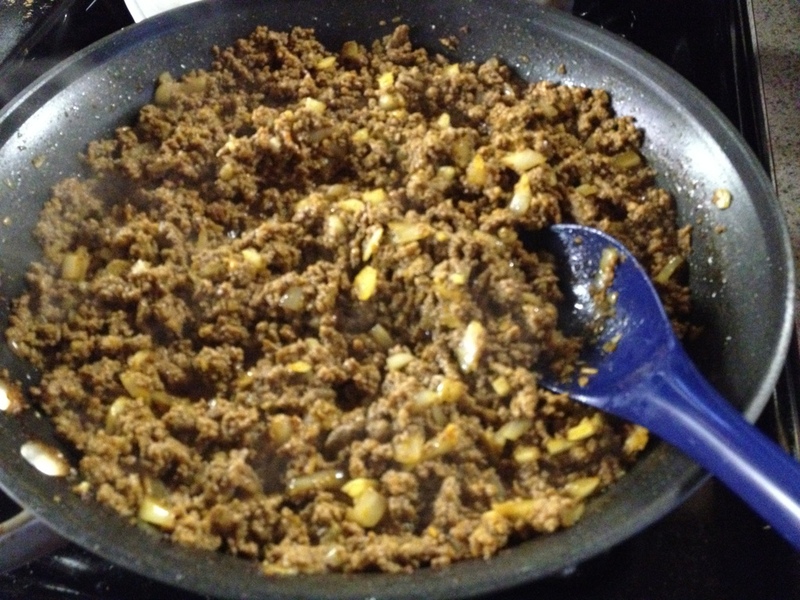 Once the liquid is absorbed, the taco meat is ready to use for whatever you want to use. M and D like to make burritos with it (tortillas, meat, cheese, lettuce) and I like to use mine for a salad (lettuce, meat, cheese, and salsa). E probably would have made this into a massive wrapped burrito using the salsa cheese sauce we still have in the fridge along with rice and beans. It’s a great ingredient to have on hand to make a simple, easy dinner on a lazy Sunday night but it also works well as an ad hoc lunchtime ingredient. Try it at your house sometime… You might be pleasantly surprised at the results!